Under the banner of this year’s theme, “Because of her, we can”, the event paid tribute to Aboriginal and Torres Strait Islander women in significant roles at local community, state and national levels. Proceedings commenced with a Welcome to Country and speeches by Linda Burney MP and Tanya Plibersek MP, honouring the first nations’ notion of reciprocity, which is fundamental to their cultures. 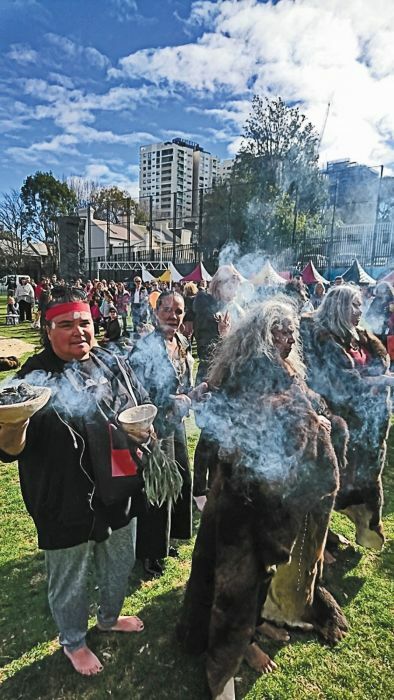 This was followed by the Gawaru women’s healing ceremony, which invited all Indigenous women at the gathering to participate in a “circle dance”.